Hello all and welcome back to that article that lets you take a look behind the voices of your favorite heroes and villains at Lakewood Plaza Turbo! On today's edition of 'Hey, It's That Voice! ', we're going to take a look at the voice behind our little pint-sized hero, K.O.! K.O. is a good boy. He's always trying his best and working to be the best hero he can be! And with every hero, he's got to start somewhere! 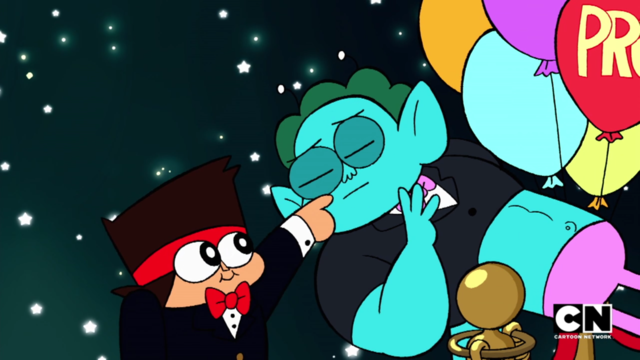 His endless optimism and wanting to help everyone around him always makes me happy and always want K.O. to succeed. But who is the main voice behind this little brush-head? Why, that would be Courtenay Taylor! This kid is just a ray of sunshine. Taylor, whose birth name is Courtenay Kellen Dennis, was born July 19, 1969 in San Francisco, California. She grew up in San Francisco, but has previously lived in Texas and Australia. Because of this, she has citizenship in Australia and the United Kingdom. Taylor began her voice acting career in 2002, where she lent her voice to the American Idol video game as a judge. She would continue her voice acting in video games, including Star Trek: Starfleet Command III, Star Wars: Knights of the Old Republic, Van Helsing, Everquest II, Vampire: The Masquerade - Bloodlines, Four Horsemen of the Apocalypse, God of War, Fatal Frame III: The Tormented, Call of Duty 2, Night Watch, Justice League Heroes, Destroy All Humans! 2, Tony Hawk's Downhill Jam, Thrillville, The Sopranos: Road To Respect, Golden Axe: Beast Rider, Supreme Commander, Command & Conquer 3: Tiberium Wars, Spider-Man 3, The Golden Compass, Destroy All Humans: Big Willy Unleashed, Command & Conquer 3: Kane's Wrath, Iron Man, The Incredible Hulk, WALL-E, Saints Row 2, Command & Conquer: Red Alert 3 (as well as Uprising), Aion, Halo Wars, Watchmen: The End is Nigh, Stormrise, Infamous, Red Faction: Guerrilla, Brutal Legend, Dragon Age: Origins, Dark Void, Mass Effect 2, Dead to Rights: Retribution, Alpha Protocol, StarCraft II: Wings of Liberty, Ninety-Nine Nights II, Halo Reach, Fallout: New Vegas, Tony Hawk: Shred, Infamous 2, Driver: San Francisco, Gears of War 3, Ace Combat: Assault Horizon, Skylanders: Spyro's Adventure, The Lord of the Rings: War in the North, Saints Row: The Third, Star Wars: The Old Republic, Kingdoms of Amalur: Reckoning, Mass Effect 3, Resident Evil: Operation Raccoon City, Diablo III, Blade & Soul, Guild Wars 2, World of Warcraft: Mists of Pandaria, Resident Evil 6, XCOM: Enemy Unknown, Skylanders: Giants, StarCraft II: Heart of the Swarm, Gears of War: Judgment, The Last of Us, Disney Infinity, The Bureau: XCOM Declassified, Saints Row IV, Skylanders: Swap Force, Lightning Returns: Final Fantasy XIII, The Elder Scrolls Online, Dawngate, Wildstar, Murdered: Soul Suspect, Destiny, Evolve, Infinite Crisis, Heroes of the Storm, Batman: Arkham Knight, Mad Max, Skylanders: SuperChargers, Lego Dimensions, Halo 5: Guardians, Call of Duty: Black Ops III, Fallout 4, Lego Marvel's Avengers, XCOM 2, Headlander, World of Warcraft: Legion, Masquerada: Songs and Shadows, Titanfall 2, For Honor, Halo Wars 2, Guardians of the Galaxy: The Telltale Series, Lawbreakers, Destiny 2, and, of course, the OK K.O.! Let's Play Heroes video game! Left column: Hex from Skylanders series, Amanda Holliday from Destiny. 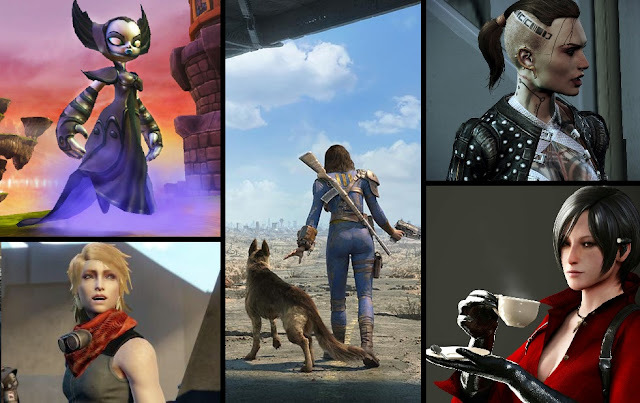 Center column: the female protagonist from Fallout 4. Right column: Jack from Mass Effect 3 and Ada Wong from Resident Evil 6. Outside of video games, Taylor has taken part in acting on television as well. Some of her live-action roles on television include Strong Medicine, Close To Home, Everybody Hates Chris, CSI: NY, Cold Case, iCarly, Person of Interest, Wizards of Waverly Place, Let's Big Happy, Franklin & Bash, Criminal Minds, 2 Broke Girls, Orphan Black, No Activity, and S.W.A.T.. AS for films, she has also appeared in Little Chenier, Take, Loaded, and Relentless. 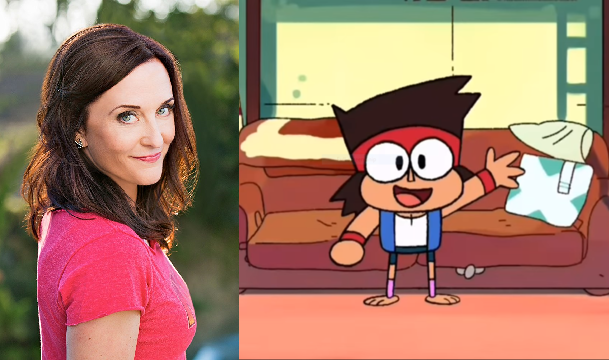 As for animation, Taylor has lent her voice for Avatar: The Last Airbender, Oishi High School Battle, Skylanders Academy, and most notably as Starla, Muscle Man's girl friend/wife, in Regular Show. And that will do it for this edition of 'Hey, It's That Voice'! Join me next time when we look at the voice behind the owner of Gar's Bodega, Mr. Gar!